Note that the keynote talk by Prof. Elvira Scheich is a specialist talk as well. 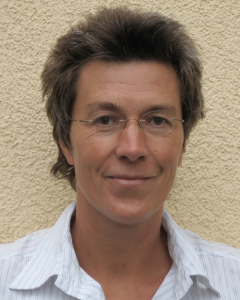 Petra Lucht holds the guest professorship “Gender Studies in Engineering” at the “Center for Interdisciplinary Women’s and Gender Studies” of the Technische Universität Berlin. She got her diploma in physics at the University of Kiel and her Ph.D. in sociology at the University of Hamburg. Her training and professional career in gender studies in science and technology took place at the Massachusetts Institute of Technology, at Harvard University, at the University of Lüneburg, the RWTH Aachen and the Technische Universität Berlin. Her work is located in sociology, science and technology studies (STS) and gender studies. 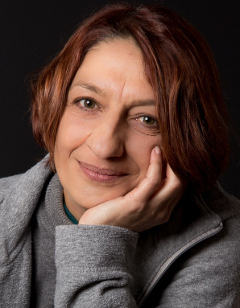 In her current research she investigates disciplinary cultures, knowledge production and innovations in the science and technology as well as science in popular culture. Recently, Petra Lucht also engaged in projects that aim at intervening into gender marketing. With her teaching she contributes to the newly established and highly innovative study program Gender Pro MINT at the Technische Universität Berlin. This study program is being offered exclusively to students in STEM fields and in planning. Petra Lucht advises the graduates of the study program while they carry out transdisciplinary qualifying theses and research projects in gender studies in science and technology. Dr. Anina Mischau is currently member of the scientific staff at the Institute of Mathematics at Freie Universität Berlin. She studied sociology and did her doctorate at the Ruprecht-Karls-Universität Heidelberg. From 2002-2012 she has worked at the Interdisciplinary Center of Gender Studies (IZG) at the University of Bielefeld. 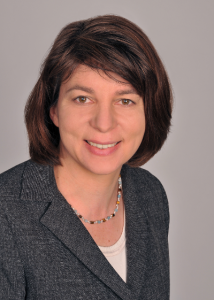 From 2012-2015 she held a visiting professorship for “Gender Studies in Mathematics and Didactics of Mathematics” at the Department of Mathematics and Computer Science at Freie Universität Berlin. From 2015-2016 she was a visiting professor for the integration of “Gender competence in mathematics teacher training for primary school” at Humboldt-Universität zu Berlin. Her research areas are gender disparities and equal opportunity policies in higher education and science as well as gender in MINT subjects. Currently her main teaching areas are gender studies in mathematics with a special focus on women in the history of mathematics, gender competence in teacher training and gender sensitive mathematics education. Melanie Caroline Steffens is a full professor for Social and Work Psychology at the Faculty of Psychology at the University of Koblenz-Landau (since 2013). In 2004-2013, she was a professor for Social Cognition and Cognitive Psychology at the Friedrich Schiller University Jena. 2009-2011, she was the head of the Jena department. She studied psychology at the University of Bonn (1989-1994) and did her doctorate at the University of Trier (1998). In 2001, she was a Visiting Fellow at Yale University. From 2011-2013, she was the speaker of the Social Psychology section of the German Psychological Society (DGPs). Her research interests comprise implicit and explicit attitudes and stereotypes of social groups (with a focus on gender and sexual orientation), social categorization, and impression formation, in addition to memory phenomena. She is a member of the research unit “Person perception” (funded by the German Science Foundation, DFG). 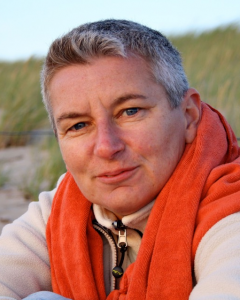 She has published more than 70 papers in international peer-reviewed journals, she was an editor of the journal Experimental Psychology and is now on the editorial board, as well as a member of the editorial board of the Canadian Journal of Behavioural Science and of the international advisory board of the Psychology of Sexualities Review. In the book Gender at work: A social psychological perspective, she has reviewed the barriers that women face in their careers (Steffens, M. C., & Viladot, M. A., 2015, New York: Peter Lang; German: Steffens, M. C., & Ebert, I. D., 2016. Frauen – Männer – Karrieren. Eine sozialpsychologische Perspektive auf Frauen in männlich geprägten Arbeitskontexten. Wiesbaden: Springer. ).